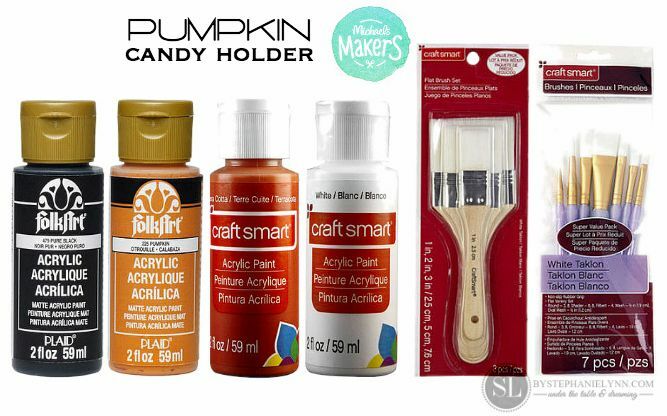 Craft Pumpkin Candy Holders – Faux Pumpkin Craft #trickyourpumpkin #michaelsmakers | We recently made a trip to the Michaels ‘pumpkin patch’ and couldn’t resist bringing a few craft pumpkins home with us. 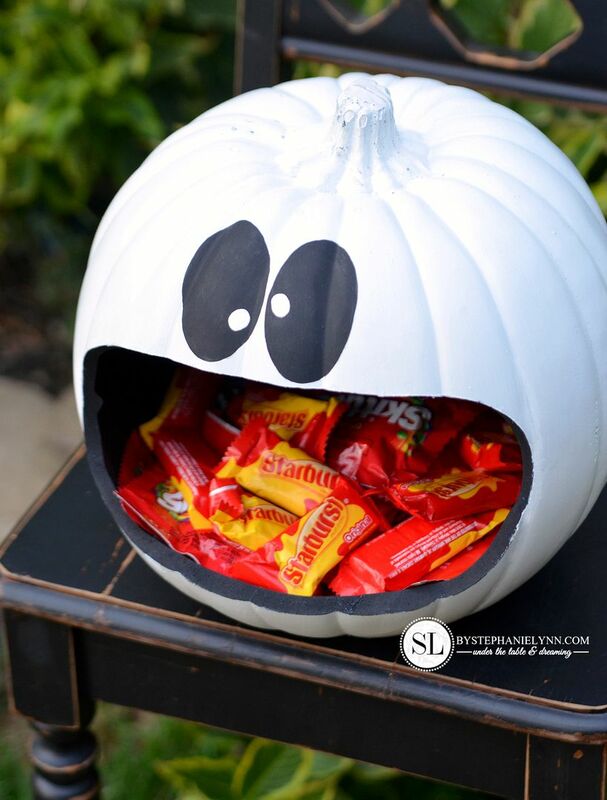 and make them into candy holders that can be used year after after. and are incredibly easy to make. and the possibilities are pretty endless. and giggled along as I painted each face. 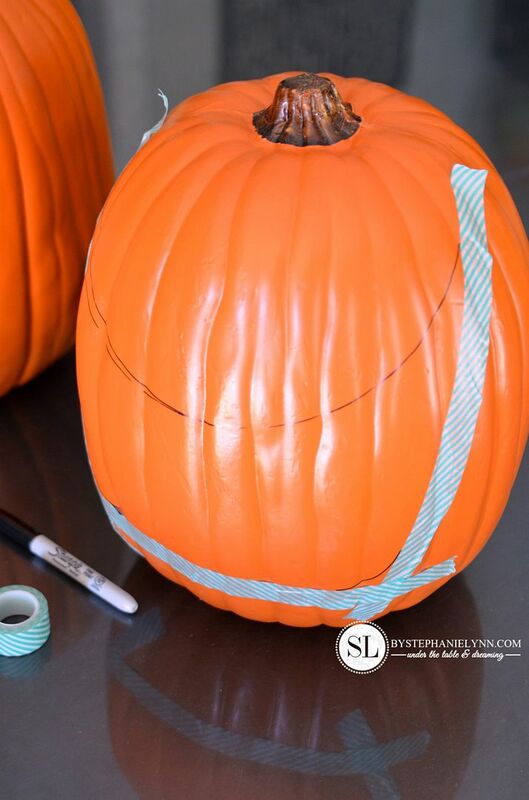 Step One: Outline the design you would like to carve. 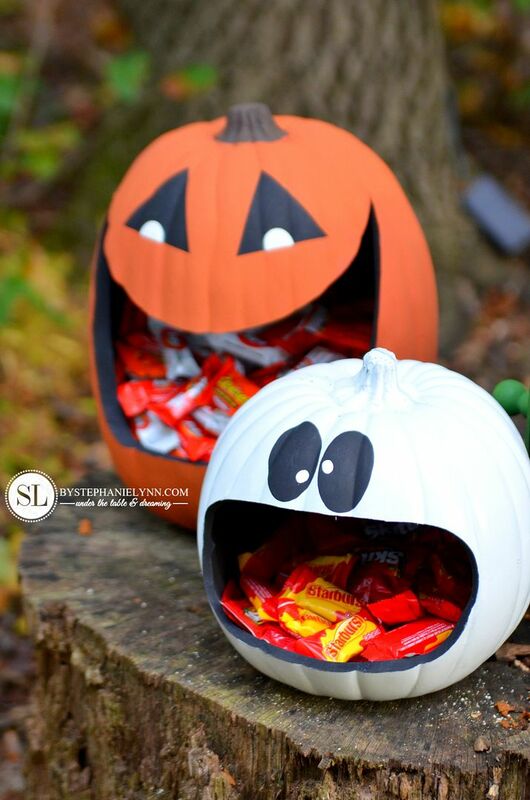 The pumpkins used for this tutorial are from the Celebrate It™ line at Michaels. 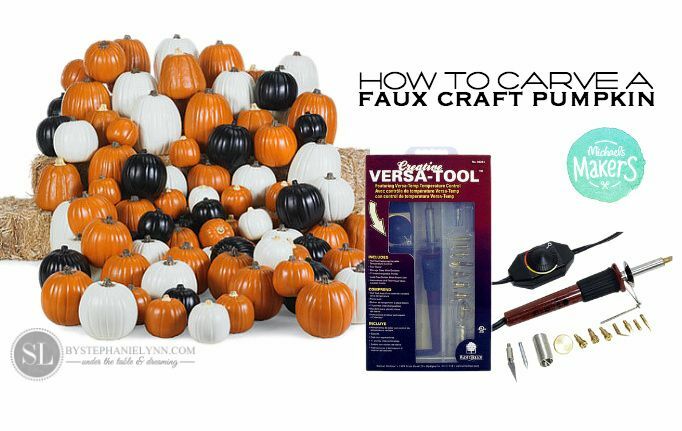 Be sure to pick up the hollow craft pumpkins and not the solid foam. 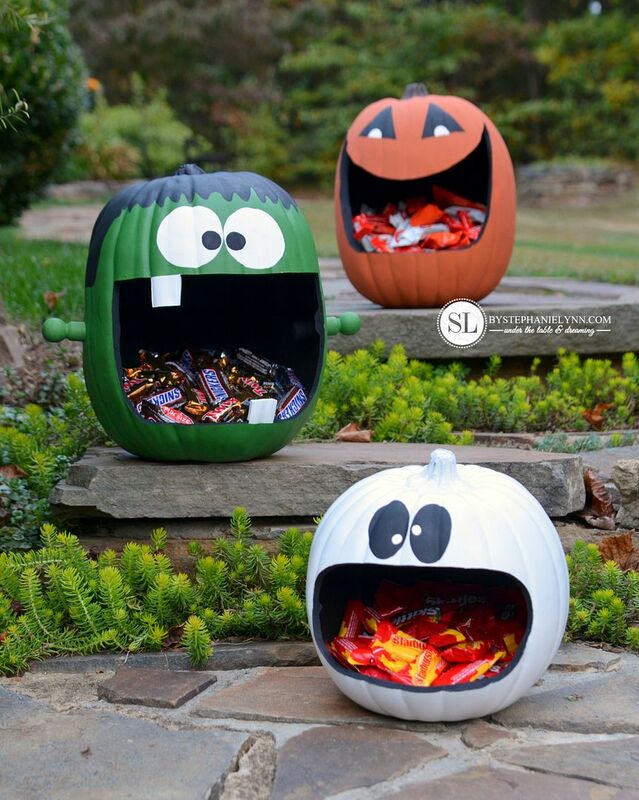 When planning the designs keep in mind you want the opening large enough for a hand to reach in a grab some candy. 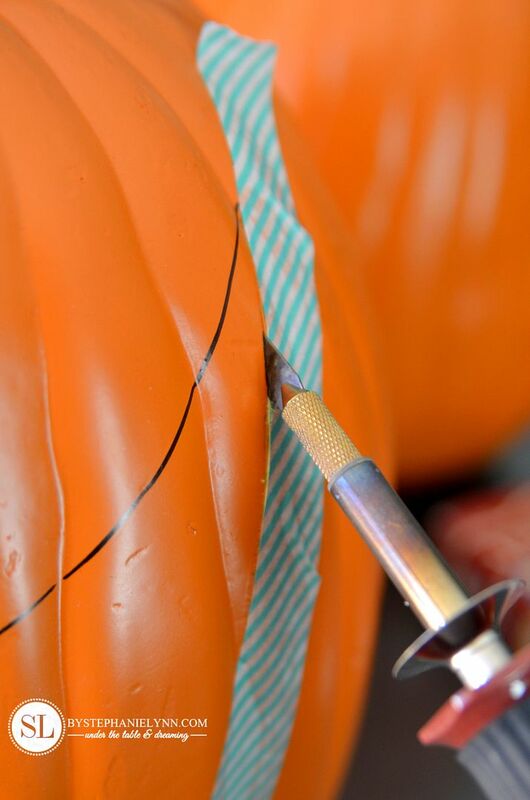 Washi tape was used for a majority of our guidelines and the rest were just freehanded with a Sharpie – since the pumpkins were going to be painted anyway. Step Two: Carve the Pumpkins. 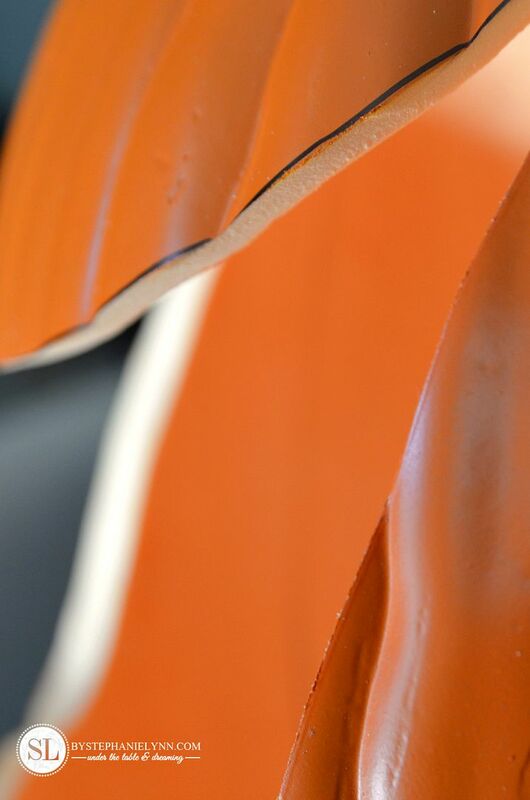 The Versa-Tool™ works wonders on these pumpkins and cuts them like a hot knife hots butter. This tool is mainly used for woodburning and can be found in the unfinished wood section. You just plug the tool in, let it heat up, then carve. The tool makes nice clean and smooth cuts without any mess. The three different designs are broken down below. 1. 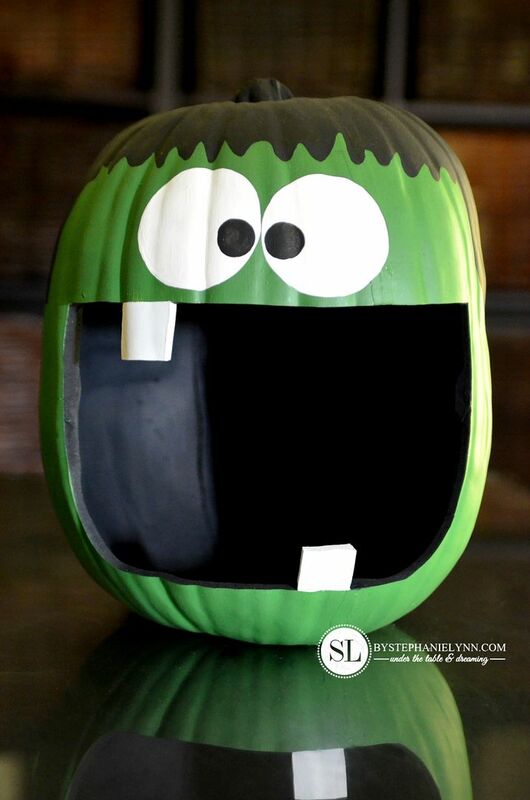 Paint the inside of the pumpkin black. 3. Paint two black triangle eyes. 4. Paint two white half circle eyes. 5. Paint the stem brown. 1. 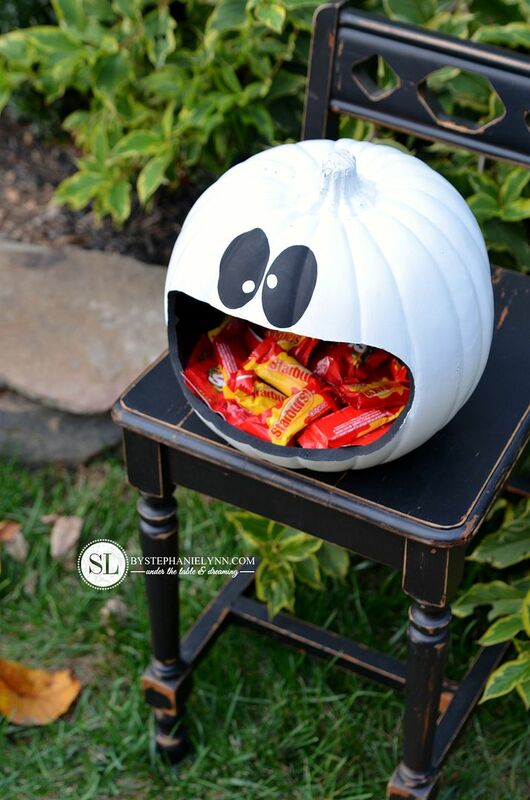 Spray paint the outside of the pumpkin white. 2. 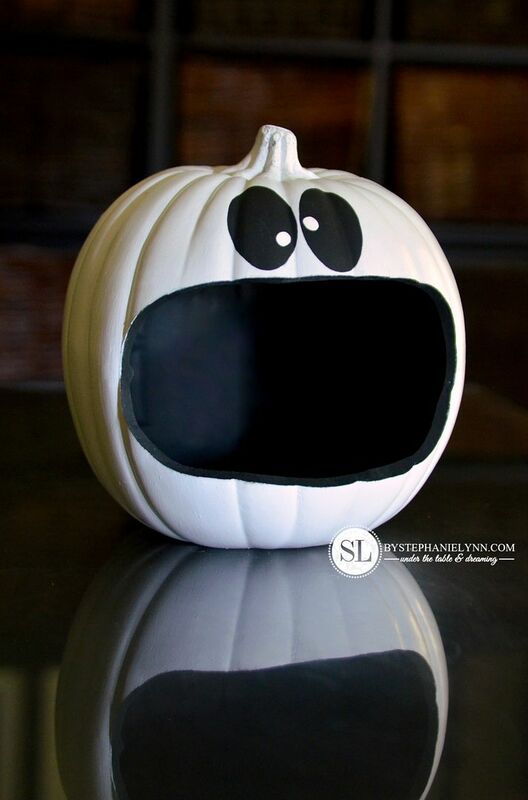 Paint the inside of the pumpkin black. 3. Paint two black oval eyes. 4. Paint two white circle eyes. 2. 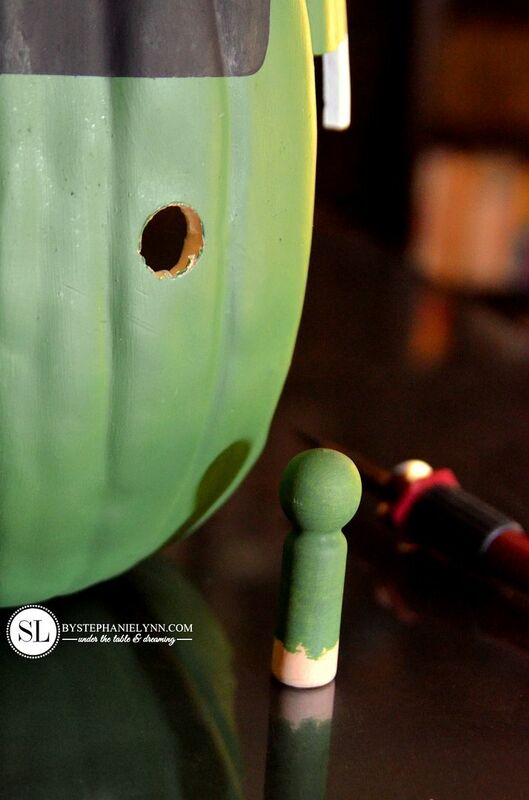 Paint the outside of the pumpkin green as well as the two wooden game pieces. 3. Paint two white circle eyes and paint the two teeth white. 4. Paint two black circle eyes and paint the hair design black. 5. Cut holes in each side and insert the wooden game pieces. 6. Paint the inside of the wooden pegs black. The pegs are actually wooden game pieces found in the unfinished wood aisle. The holes were cut just a tad smaller than the circumference of the pegs. 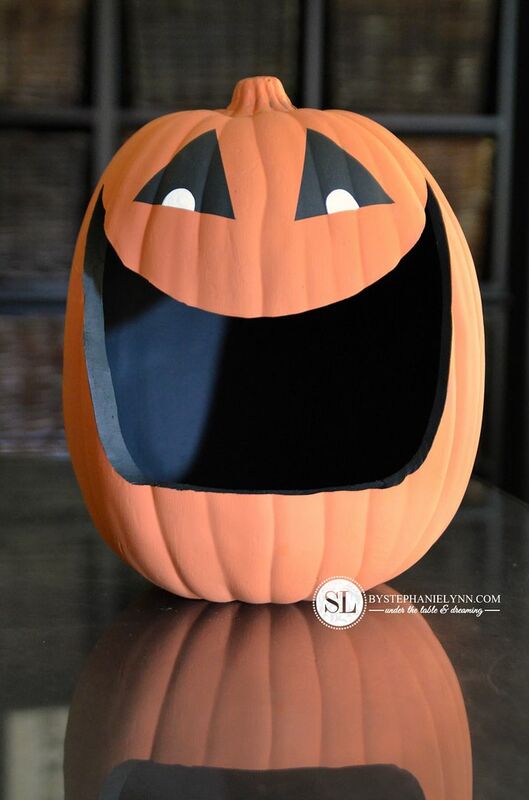 The pumpkin material has a little give to it so the pegs can be pushed in – creating a real snug fit. 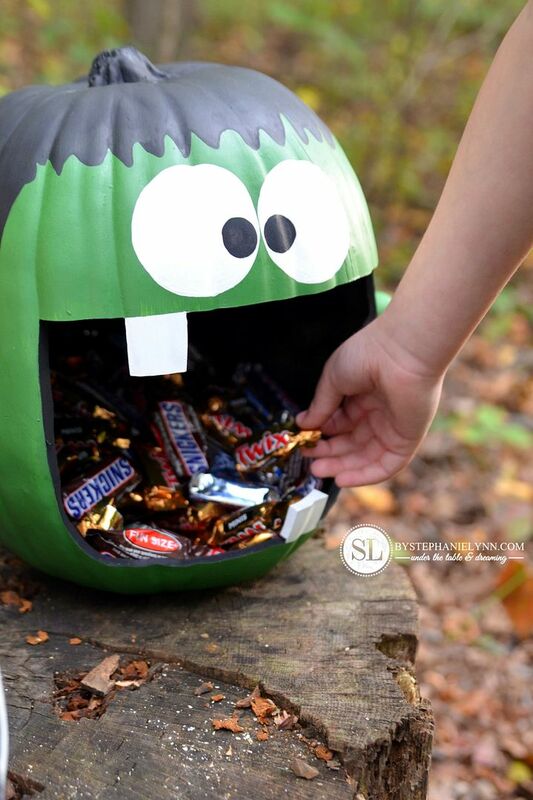 Step Four: Fill with candy and enjoy! 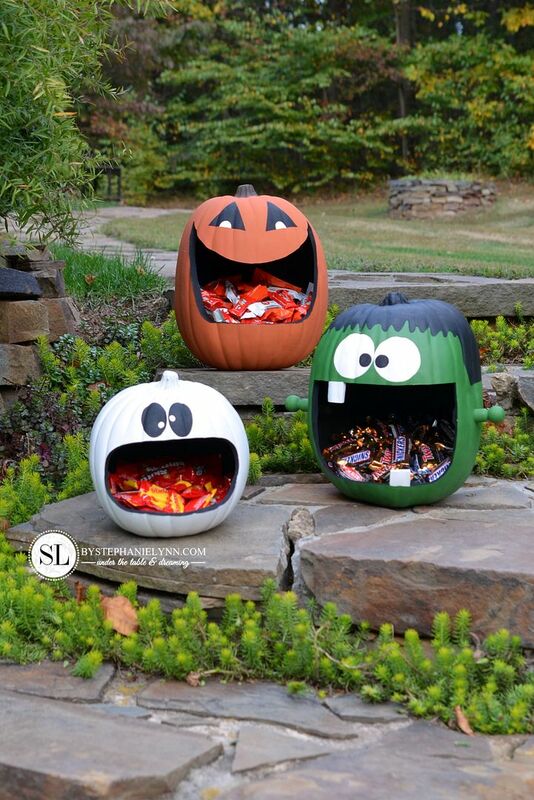 We live too far away from other houses to have any trick-or-treaters – but if we did, these would definitely be sitting on my front steps for the kiddies to help themselves. 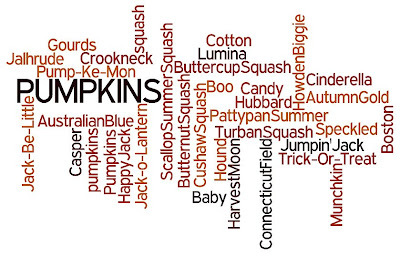 Just create an original pumpkin project and upload a picture of it to your Instagram account. The contest runs Wednesday, October 1st through Friday, October 31st. Each Friday a random winner will be selected to receive a $250 Michaels gift card & Plaid products. 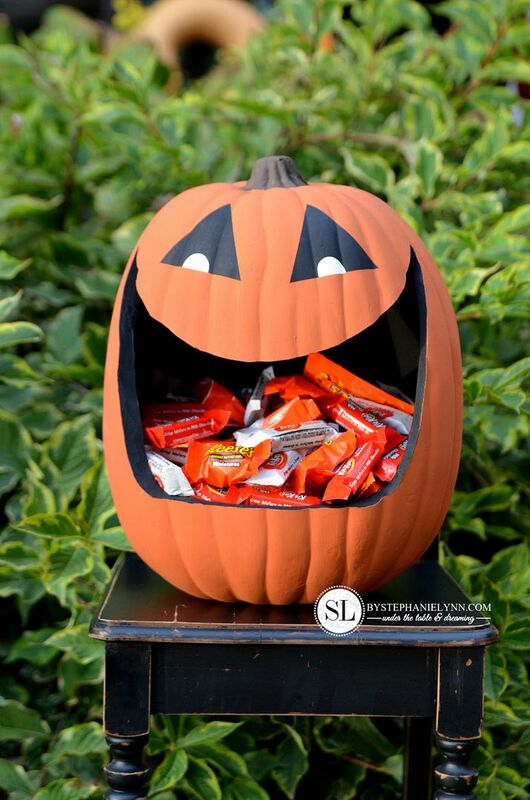 For more details, rules and regulations visit Michaels #TrickYourPumpkin. This post is brought to you by Michaels . The opinions read here are entirely my own. 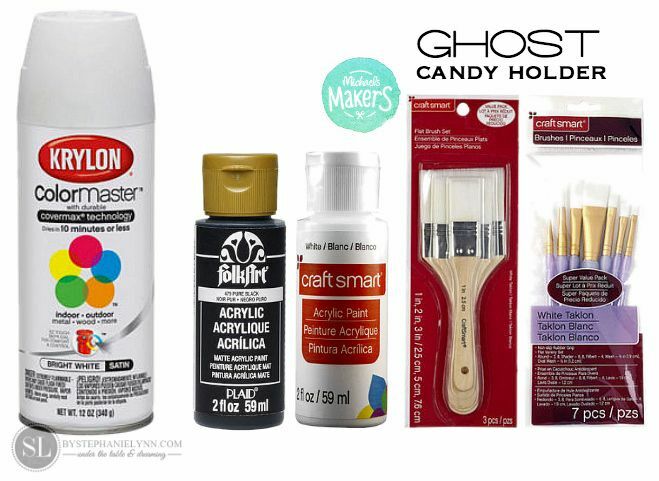 It’s Fall and Michaels has all of the ideas and supplies you need for easy autumn and holiday themed projects for your entire home. 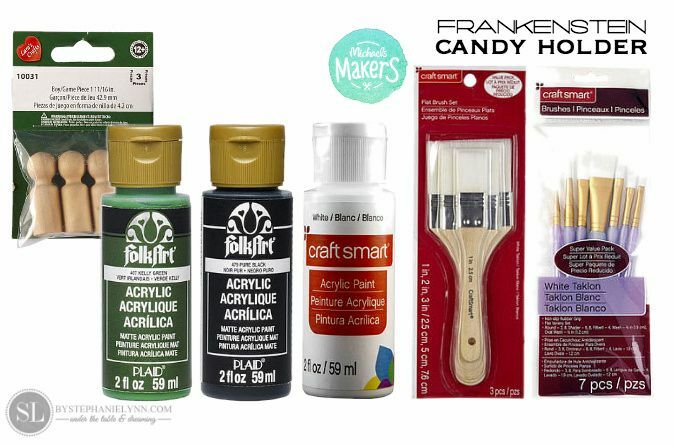 Did you know you can now shop online with Michaels with Free Shipping on orders over $50 or free in store delivery. Happy crafting. These are so cute and such a great tutorial! Those are oh. so. cute!!! 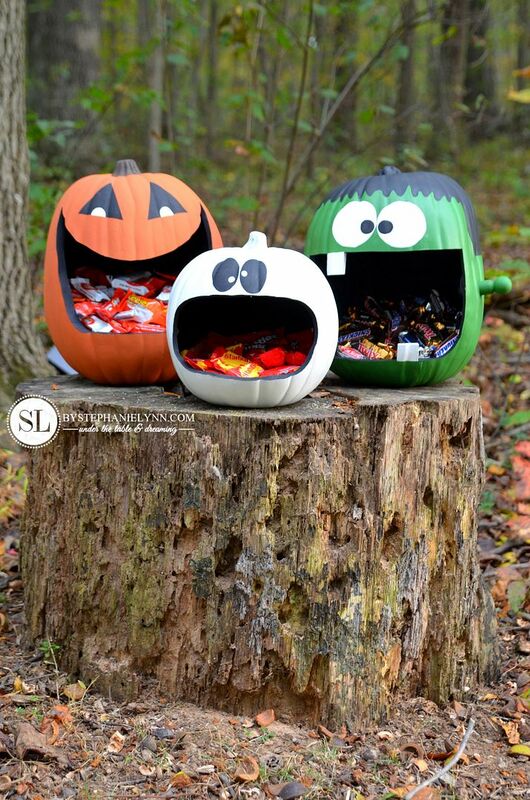 Thanks for sharing your tutorial with us and letting us know about the TRick Your Pumpkin contest from Michael’s . Wickedly adorable! Love them all. 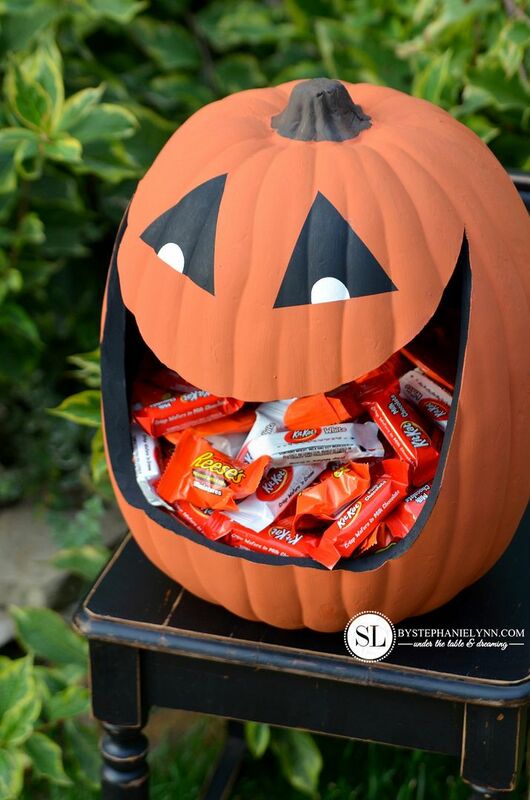 This is the best use of the faux pumpkin I have seen yet! 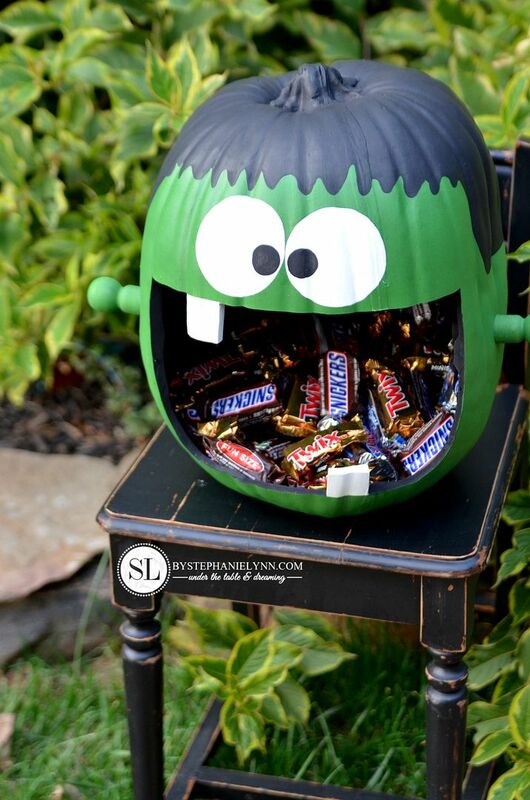 I am totally going to have to make one now!!! Pinning! These are just adorable! 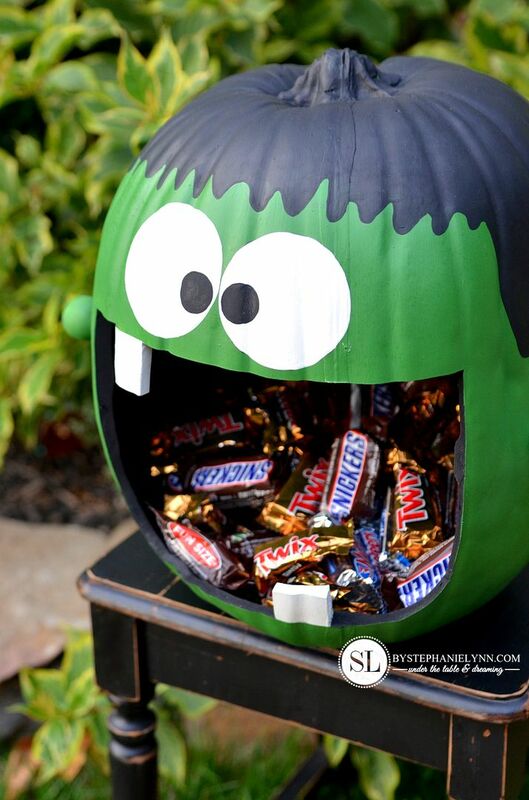 I love the Frankenstein one so much! 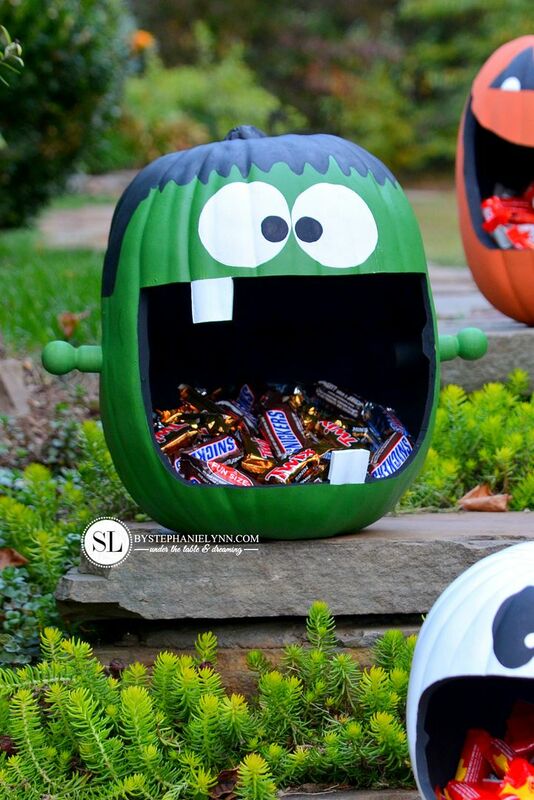 Just when you think you’ve seen every sort of pumpkin craft possible, you guys come up with something adorable! Love it! Those are adorable! 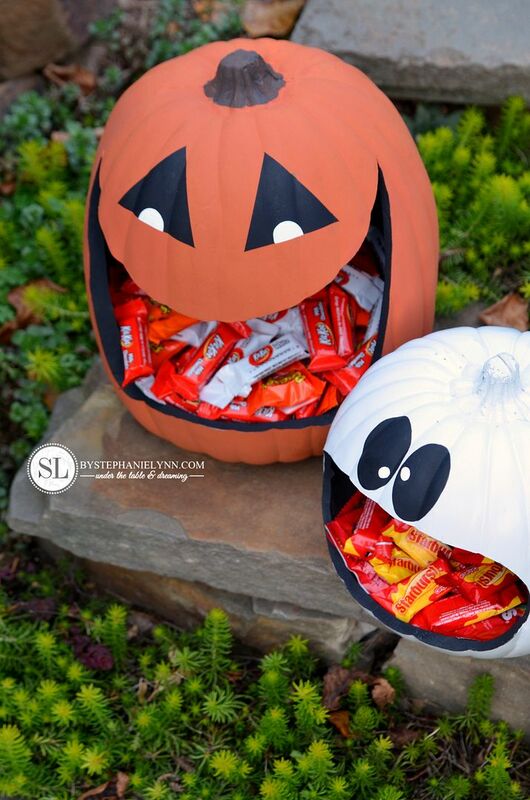 Kids will love to make these and what a great way to put candy on your porch if you can’t be home for trick-or-treaters. This is so adorable. I don’t think I can make one in time for this year, but will definitely be on my list for next. Pinned. So Cute!!! Thanks for sharing the tutorial and all the great pictures of the afters. Never heard of the versa tool but it sure looks like I need one. So Cute and really practical!!! Thanks for sharing .